When Mike Zimmerman was younger, he played a lot of video games and dreamed of someday making art for them. But as he got older, Mike's interests switched to music and and he decided he wanted to create gig posters and album covers. Today, when he isn't composing music or creating artwork for Curbside, Mike is designing shirts and album covers for different bands. 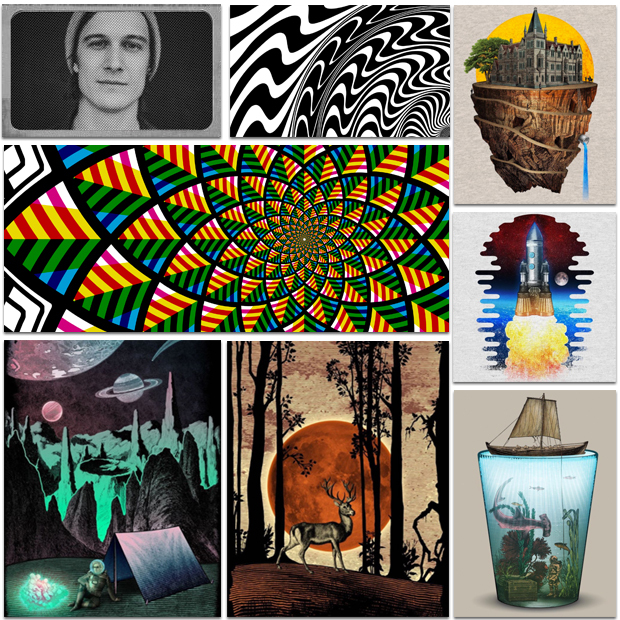 Many of the kinds of abstract ideas and styles that are found in the music world can be found in Mike's art, which he creates by taking vintage imagery and retooling them in new and inventive ways that are often surreal.